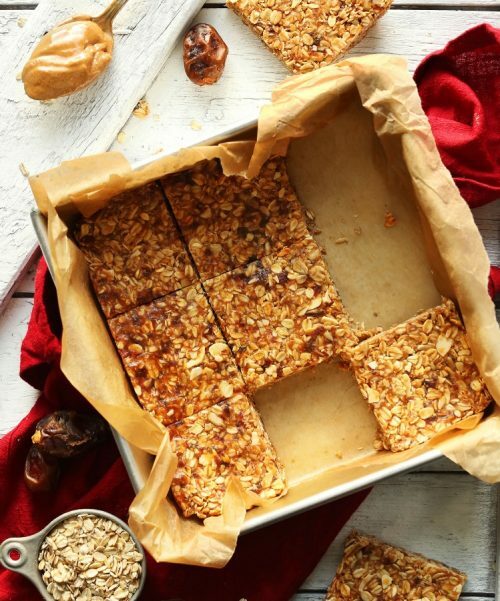 Muesli bars at home - 100% good! Enter SNH738 code and receive a gift. Who among us has not at least once notorious bought muesli bars? It would seem nothing special about them, but sometimes the hand itself stretches to the sacred shelf. It is convenient because: like, and vkusnuypirogek tea (convince ourselves that useful, "it's not a roll-chocolate" :), and a good snack, and you can run. That's only part of the store granola bars in 99% not very useful. Usually, a lot of sugar (or its chemical substitutes), dangerous transfats (Also known as hydrogenated / confectionery fat), preservatives, and "eshki". Abundance of nuts out there promised to find, grains - still all right. But the sweetness there is certainly enough sugar /fructose, Molasses decide. Now such shops bars seem to me unbearably sweet! 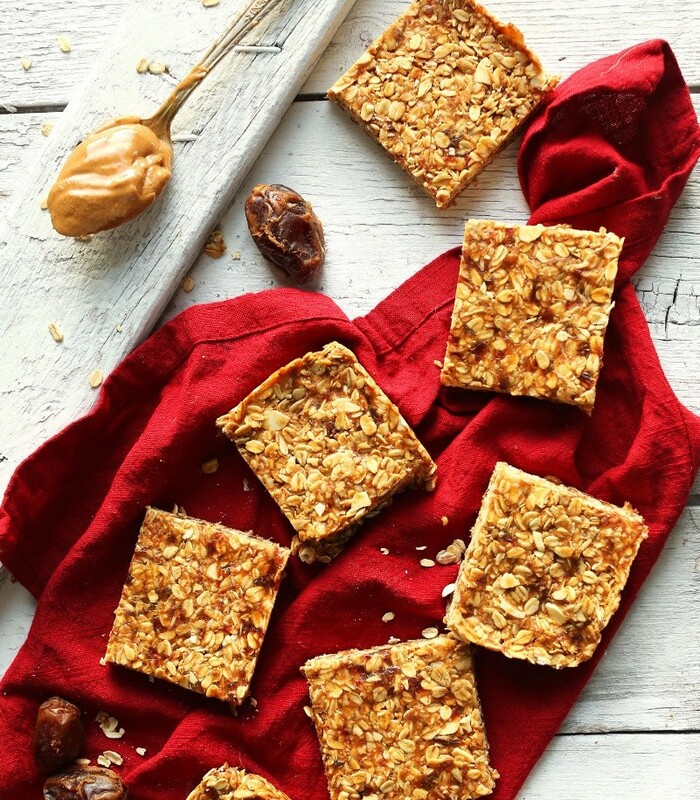 Thus was born the idea of ​​one day to prepare muesli bars at home. True, a "pure" composition and abundance of favorite nuts. Truly healthy snack! And they kept great (can be wrapped in paper or just lay in the container), it is convenient to take with you. More recently, I love it so breakfast bar with coffee. They perfectly satisfy hunger (still - and cereals, and nuts as a source of healthy fats and protein), contain enough coarse fiber. Calories too much, but this does not detract from their dignity! Here, rather, it depends on how much you eat. I believe that the correct breakfast or snack and should be. Prepare muesli bars is very simple at home. Of these ingredients, I get to the party, which lasts for a week (if no one helps them to destroy :). *You can also use other cereals, miksuya them in any proportion to your taste: wheat, barley, buckwheat and others. **The fact that such a hydrogenated oil, Read here. Dried fruits wash and soak minute 15-20. Grind half nuts with a knife (not too finely). In the bowl of a blender add up the other half of nuts, dried fruits, peanut butter, honey (if using), to break pulsating movements several times. Banana mash until puree state. In a deep bowl send oatmeal and bran, nuts, refined mass of the blender, the seeds of flax and sesame seeds, mashed banana, coconut oil, cinnamon and a pinch of salt. The mixture is thoroughly mixed, let stand 5-10 minutes to swollen flakes. Weight must be tacky, but not too wet. If the mixture is dryish, add a little water (or honey can be a couple of tablespoons of oil). If on the contrary - add another 1-2 tablespoons of bran. Put weight on the pan, the laid parchment (or silicone form), densely compacted. Bake 40-50 minutes in a preheated oven at 180 degrees. Remove from the mold, cool and cut into small bars formation. After complete cooling, they will be more dense and crisp. Do not fill up in the bowl of a blender all nuts and seeds at the same time (especially dark in color, such as black sesame seeds and flax seeds - it is better not to grind at all), it can stain a lot of gray, and your bars will be unsightly. Bake granola bars a little less time (~ 30 minutes), their consistency is slightly less dense (most likely, a little stringy). If you hold in the oven 45-50 minutes, they will be more dry and crispy. In any case, the result will be judged when the cereal is completely cooled down and "grab". By the way, please note that the density of bars depends a lot on the "glue" of ingredients. Do not add a lot of water, banana puree, too, should not be much. It is better to "glue" a lot of help for future bars honey / syrup, walnut paste. Experiment with spices: cinnamon, cardamom, nutmeg, vanilla. Salty or sweet - and you decide! Would you like to cook a lot, and for the future? Easily! Bars can be stored in the freezer until 2-3 months in an airtight container (recommended between each bar to lay a layer of parchment, so they do not stick together). What to order at iherb: D-Ribose, D-Mannose. Overview. Food Hunter © 2014-2017. All of the beautiful, tasty and healthy. Updates.